Work, Workers & Workplaces: Using space as the starting point of innovation by Parthajeet Sarma take stock of the opportunities that the new technologies offers, in light of not only the changes in the standard, but also of the underlying trends that underlie the continuous growth of corporate welfare. The thesis that feeds the book is that technology understood as a fluid mass must take shape, the new raw material of contemporary architecture. 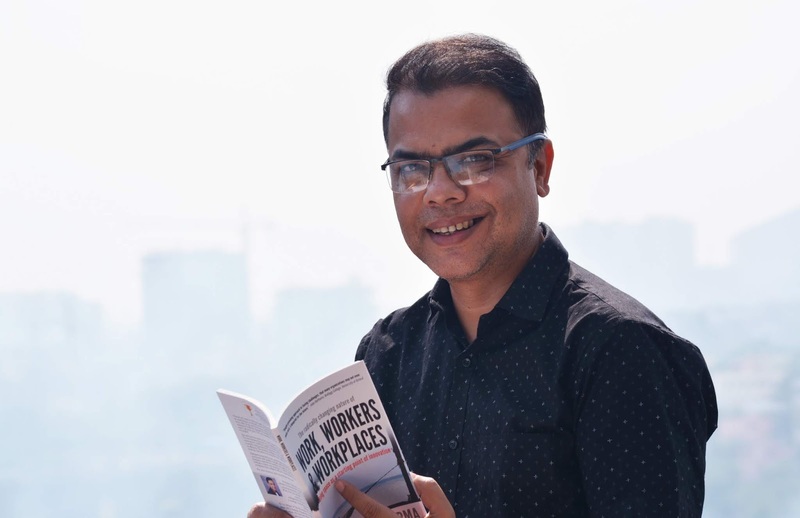 The book focuses on many aspects of corporate welfare that starts from a two-fold and essential point of view of that of the design and layout of the modern day workplaces. The book guides us on a new way of creating workplaces that reflect more closely the concepts of intelligent work with flexibility, sharing, and creativity. The book talks about the benefits of the workplace innovation with no more old closed offices. The spaces can be structured through working corners each composed of islands with free workstations, with fewer areas dedicated to the single and more open places that favor concentration, collaboration and the emergence of innovative ideas. The author gives concrete examples of how smart spaces can be designed that focuses, in addition to open spaces and working corners, the conference rooms, to the eating area or the gym where workers can take a break of wellness. The multipurpose rooms, on the other hand, are the innovative and modular spaces that can be designed to be an incubator of ideas and to encourage the circulation and dissemination of ideas. A double and crossed analysis allows to evaluate the phenomenon as a whole and at the same time to highlight the use of technology in improving the spaces. The last century represented for architectural research a sort of golden age for the experimentalism that animated it on the possibilities that new technologies, especially those related to information, could open in formalizing complex structures, sensitive environments, hybrid architectures, and interactive spaces. Each new technology that makes its way, when it emerges, always presents itself as an artificial external nature with which to learn how to interface. But for the following generations, those who grow up in an environment that has already acquired the same technology, becomes a cultural phenomenon perceived as a natural fact, which consequently develops new models and mental structures. The technological advancements can trigger an unprecedented acceleration in the transformation processes of landscapes, not only physical, but radically rethinking the relationship between body and space, object and environment and blurring the boundaries between real and virtual. The information revolution that inaugurated the post-industrial society of global flows, the service industries, the information and communication industry, the organization of networked infrastructures, has also inaugurated a real aesthetic challenge to represent them, but above all to make it materialize through forms, the new cultural paradigms of which it is the bearer. This avant-garde generation born with the computer, has accepted the design challenge of the crisis opened up by Information Technology opening an architectural research field that automatically changes the objectives and the disciplinary boundaries, the intervention territories, the tools and the process itself and finally the results produced. Beyond a form of technological determinism, this architectural crash culture realizes how new mediums are influential in creating the forms of social organization, structuring innovative spatial and temporal relationships. Technologies inform themselves of whatever they transmit, thus influencing the contemporary imagery. And they trace the reasons for a new conception of space. Work efficiency is a behavior or a psychological state characterized by positive and satisfying feelings of well-being in the workplace or, according to the most fashionable definition, a state of mind on positive work, characterized by a sense of vigor, dedication, involvement and fullness. The primary objective of this book is to give the reader an analytical picture more optimistic than what is usually there in the field of business psychology on issues related to psycho-social risks and organizational well-being. This book addresses, from a new and original point of view, the recurrent and traditional themes of the assessment of workplaces and of the psycho-physical well-being of the worker. Instead of playing the card of moral suffering in the workplace, the harassment and exploitation of workers, their resistance or the fragility of organizations in dealing with these emerging problems and, at times, emergencies, the author propose to evaluate the positive dimension of work through this book. Hence the book focuses on offering a complete analysis of the most up-to-date tools and methods for improving the design, smell, feel and look of the different areas in a workplace, proposing, for the first time, a scientific tool able to reconcile the different needs of a workplace. The technology revolution can help create an aesthetic rupture that in turn transforms the conjuncture linked to the sudden change, in value and opportunity for innovation. It ends up being new topos of contemporaneity, where processes are more experienced than products, where relationships are more important than things. The interactivity with physical and emotional involvement of the user is asserted with respect to static models that replaces the rigid mono-functionalism, the simulation and the diagram to the planning design. Parthajeet Sarma structures the book as an interactive workstation. The author invites us to enter a new space-time vision, in which architecture enters the sphere of the infinite possibilities of taking shape, of becoming crystallized in one of its innumerable potentials. The smart working model is based on the knowledge of the skills, expectations and needs of those who work in the company, so as to fully exploit human capital under the banner of inclusiveness.